Britain – and especially Yorkshire’s – love affair with cycling is stronger than ever. Bike-loving Brits spend almost £1 billion each year on new bikes. Therefore, ensuring bike security – and keeping them safe from our light-fingered friends – should be a top priority for any cyclist. 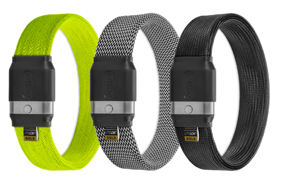 With this in mind, our resident MAMIL (middle aged man in Lycra), Adam Spry has been road testing one of the newest bike locks on the market – the LITELOK (£85). LITELOK started life as a Kickstarter project back in 2015. After securing £232,078 in pledges, the LITELOK team have managed to bring the product to market. 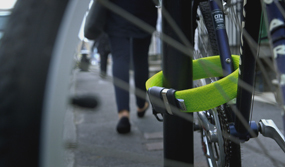 They claim the LITELOK is the world’s lightest, gold security (more on this later), flexible bike lock. The LITELOK looks attractive (we have the black and white herringbone version) and it feels reassuringly sturdy in the hand. The lock mechanism itself feels strong and robust, with a satisfying clunk when opened and closed. Unlike other Sold Secure Gold* rated locks we’ve come across, the product is relatively lightweight (weighs just 2.4lbs) and flexible. LITELOK make some bold claims when it comes to the lock’s security credentials. Whilst we did not test the lock to destruction, if you have 18 minutes spare, you can watch someone trying (and failing) to crack the lock, which makes for interesting viewing! Alternatively, you can rest assured that the lock has been put through its paces and achieved Sold Secure’s Gold rating. The LITELOK sits at the lighter end of the Sold Secure Gold rated lock spectrum. It does still feel too heavy and cumbersome to be used for road biking however; this product is very much aimed at the everyday commuter market. The lock measures in at 29 inches, which is just about long enough to cope with most scenarios a commuter would encounter. Although it did struggle with some of the more awkward lock up points across the city. To combat this, you can combine two or more LITELOKs together in series, although this does mean lugging two locks with you wherever you go ‘just in case’. Generally speaking, the LITELOK is easy to use. 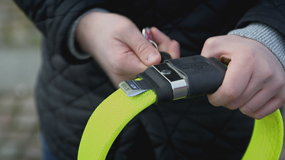 Our test days were often cold and wet, and as I’m sure many a commuter can attest, traditional combination locks – as well as some key operated locks – are fiddly to operate when your fingers are bitterly cold or if you’re wearing gloves. The LITELOK’s locking mechanism is substantial in size, which makes it easy to operate even in the most miserable British weather – a big plus in our books! 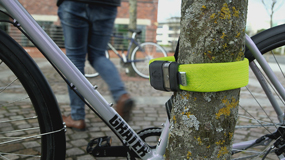 We did struggle using the lock in awkward situations where a traditional flexible lock would work well, such as locking to a wide post or in close proximity to other bikes – this was ultimately due to a lack of (not absence of) flexibility. Whilst the LITELOK is somewhat flexible, it is far stiffer than traditional flexible locks – although, of course, these are less secure. However, it is far more flexible than a traditional ‘U’ lock. When it comes to manufacturing bike locks, balancing security, weight and flexibility is no easy task. LITELOK has made great strides in addressing all three but we’re not 100% convinced it’s fully solved the conundrum. It’s security credentials are undoubted and its undeniably light for a lock of this quality. We do feel, however, that its slight lack of flexibility lets it down slightly. That being said, we would more than happily entrust the safety of our beloved bike to the LITELOK. *Sold Secure is an independent, non-profit organisation. They rigorously test locks to make it easier to compare security levels between different lock types and brands. One Comment on "Litelok Review – Bicycle Lock Test"